I trust you’re all well rested from the weekend and ready to face the day? After all, you just got that extra hour of sleep on Sunday due to the time change, right? Perhaps the jury is still out on whether this “falling back” really equates to more rest, but I do hope that you are getting enough sleep. We often joke about how little sleep we get. Since we all have so much to accomplish during any given day and there are only so many hours in that day to do it, spending time sleeping can almost seem counterintuitive. We might feel that being tired is just the price we pay for the fast paced world we live in. But getting enough rest is not just a novelty, it’s a necessity. 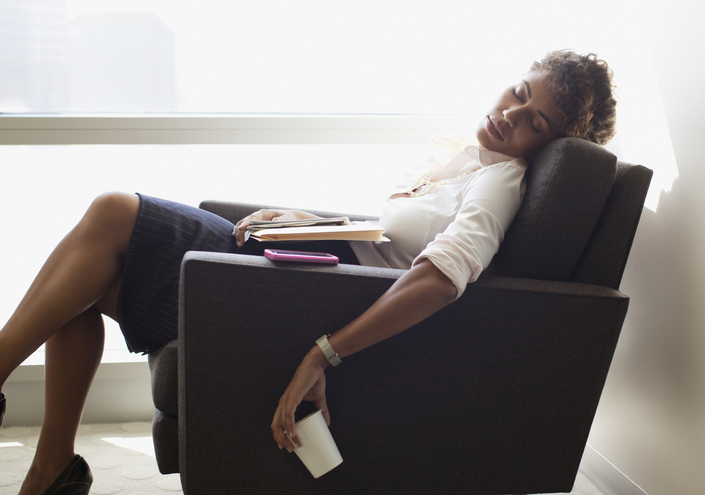 Long term fatigue has a negative impact on our lives and poses serious risks to our health. When we fail to routinely get enough sleep, we are subject to high blood pressure, heart disease, obesity, and diabetes. It impairs our immune system making us more susceptible to common illnesses like the cold virus and without adequate rest, getting over an illness may take longer too. Being sleep deprived can also cause moodiness, anxiety, depression, and memory issues as well. It shouldn’t come as much of a surprise to anyone reading this that if we are working fatigued, then we are in much more immediate danger. Lack of sleep leads to poor decision making. Making the wrong choice about safety needs will get you hurt. Weariness leads to a loss of concentration and all of our jobs require a high level of focus. If you simply can’t concentrate on the task at hand, then you can’t work safely. Additionally, exhaustion causes a reduction in hand-eye coordination with delayed reaction times similar to being intoxicated. Few of us would work or drive drunk, but we expose ourselves to similar dangers when working fatigued. Following are some tips for helping us to get the rest that we not only deserve, but actually require. Set a sleep schedule and keep to it. Aim for an 8 hour time frame. Go to bed and get up at the same time every day, even on the weekends. (Hard to do when time changes though!) If you don’t fall asleep in the first 20 minutes, get up and do something you find relaxing. Go back to bed when you feel tired. Repeat this if necessary. Avoid going to bed hungry or too full. Don’t eat anything with-in a couple of hours of your scheduled bedtime and avoid caffeine, nicotine and alcohol as well. Caffeine and nicotine have stimulating effects that take hours to wear off. Alcohol might make you feel sleepy, but it can disrupt the quality of sleep later. Go to bed in a room that is primed for sleeping. Rooms that are, or can be darkened, are cooler in temperature, and are quiet often provide the best environment for falling, as well as remaining asleep. The use of a fan can provide not only cooling benefits, but noise masking as well. If you nap in the daytime, try to keep it less than an hour in length. Napping after 3:00 pm should be avoided as well. Get some exercise during the day. Physical activity promotes better sleep, but avoid excessive workouts just prior to bedtime. Getting out into the sun has some excellent benefits, just don’t overdo the exposure. Let go of your troubles. If your mind races through all of the day’s events, or what tomorrow might bring while you’re trying to fall asleep, then try writing those down on paper to review the following day and then let them go. There are multiple ways to manage your stress, but getting a good night’s rest is a very good place to start. There a lot of reasons for us not getting enough sleep, but we have to make an effort to find a solution to whatever keeps us routinely from attaining it. Make sure to visit your physician if you are having trouble falling asleep on a regular basis and be aware that there are some underlying health conditions that can also present themselves as tiredness that have little to do with the amount of sleep one gets. Take care of yourselves and stay safe!